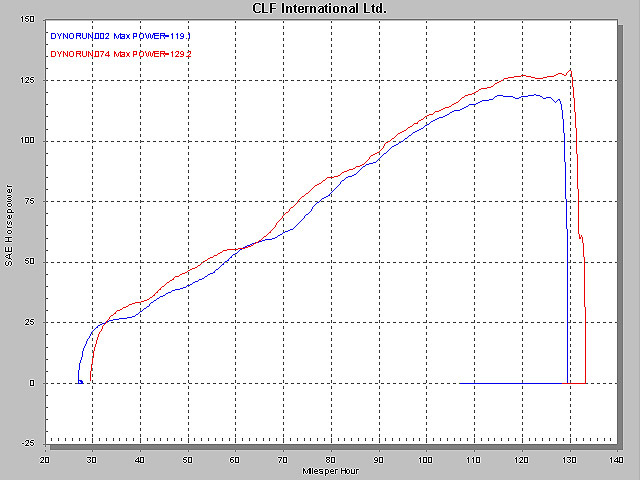 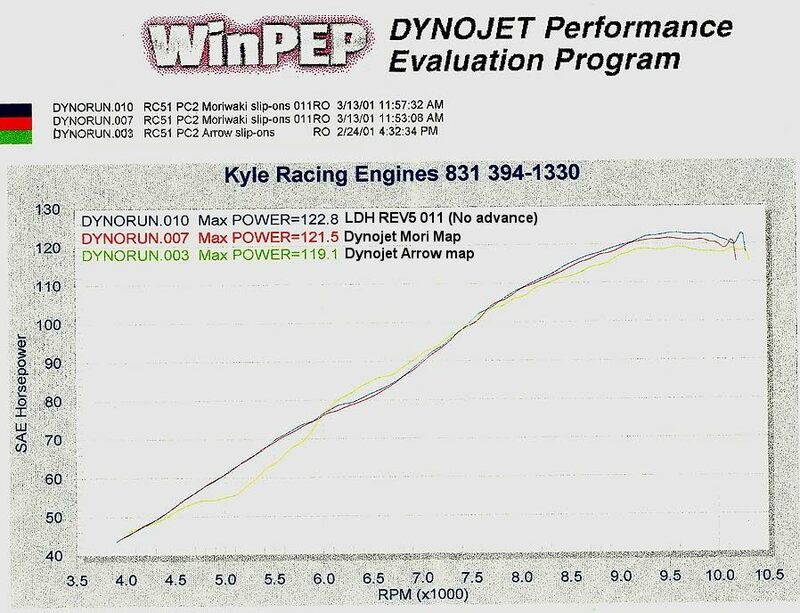 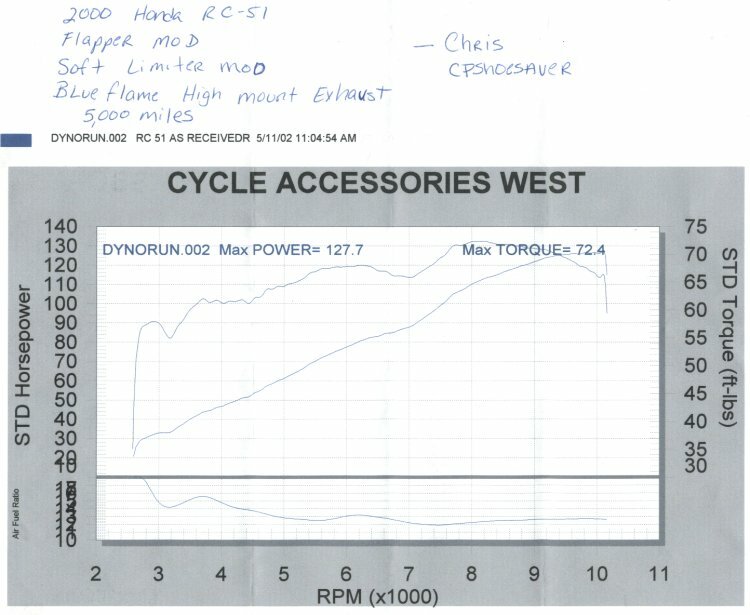 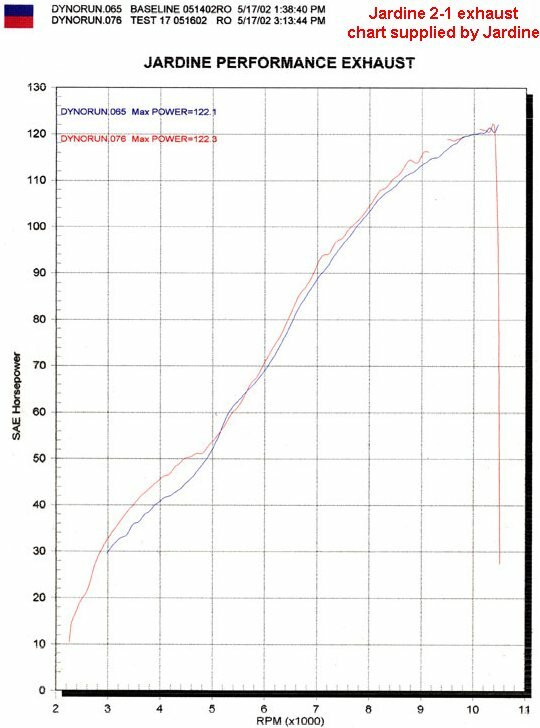 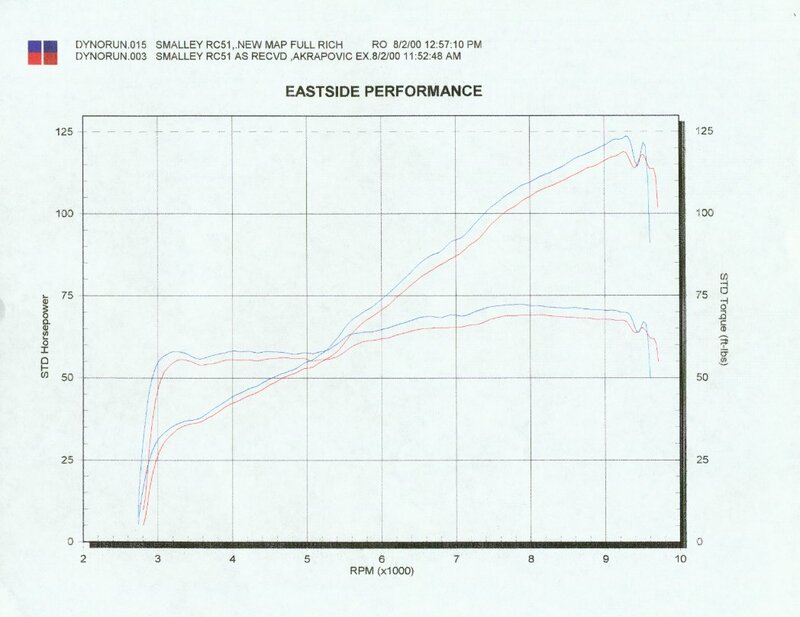 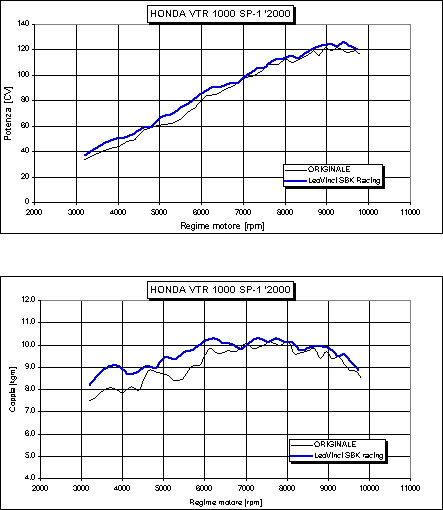 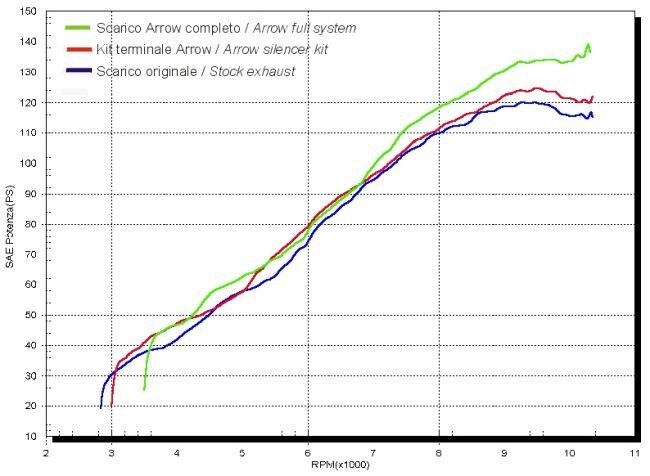 Just as a point of reference most stock RC51's make about 118-120 rwhp. 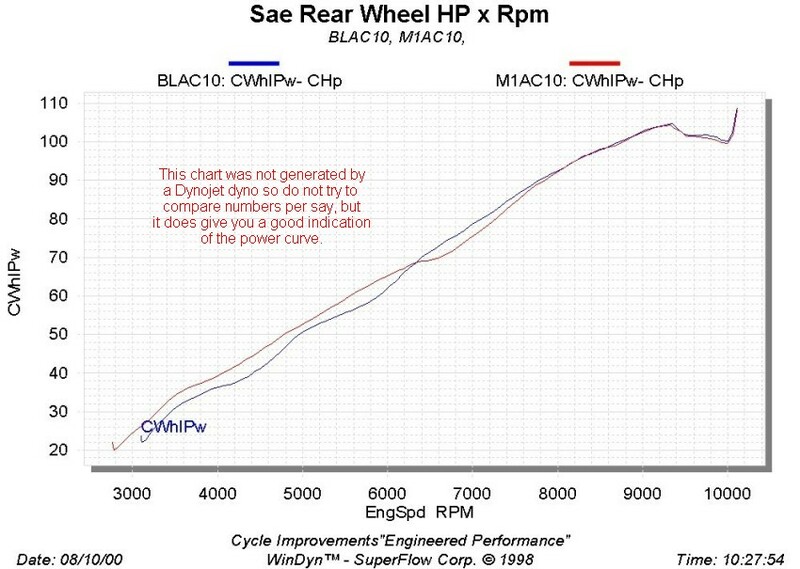 Increases of 3-4 hp on top are common with decent cans & a Powercommander with a good map while increases of 8-10 hp have been seen with premium cans and an optimal map plus the soft-limiter removed, but what really seperates the can manfacturers are the ones that can get the most linear power curve. 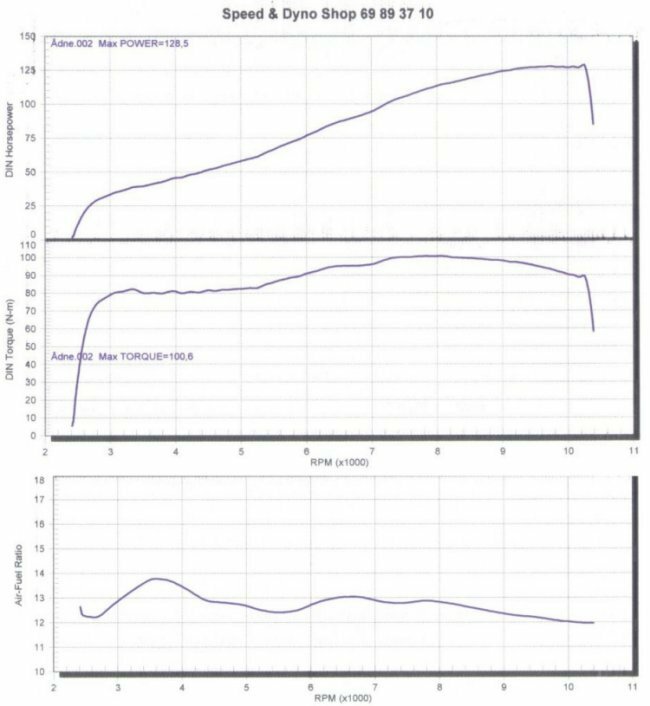 Some of the Exhausts like the Sato's & the Moriwaki low mounts combined with my custom maps have extremely linear power delivery as well as very broad & flat torque curves while other exhausts simply lack any real torque gains over stock & some even lose torque. 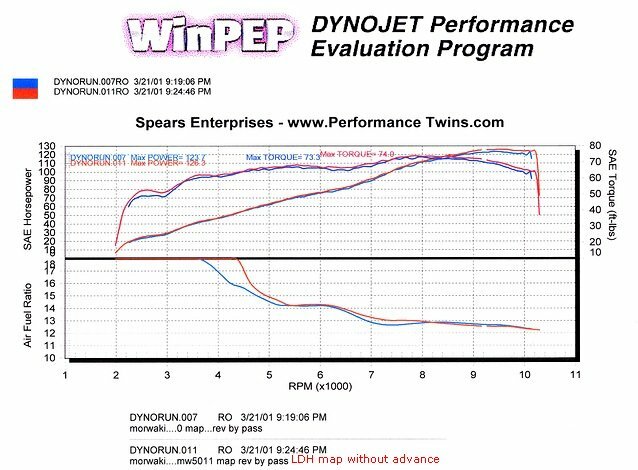 When viewing dyno charts keep in mind that dyno readings vary by geographic location & ambient conditions which make up the correction factor. 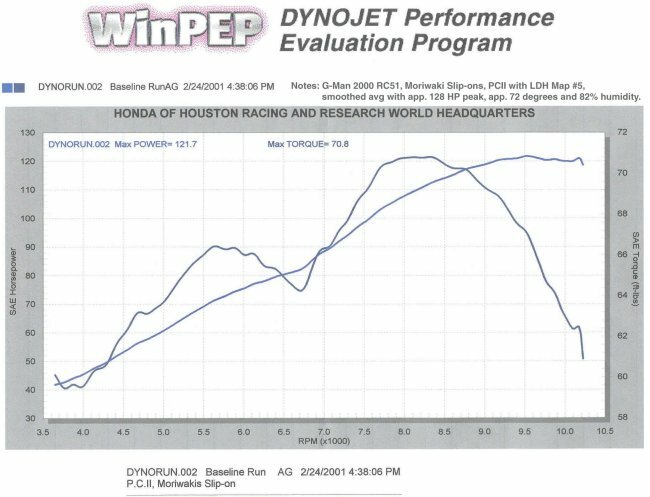 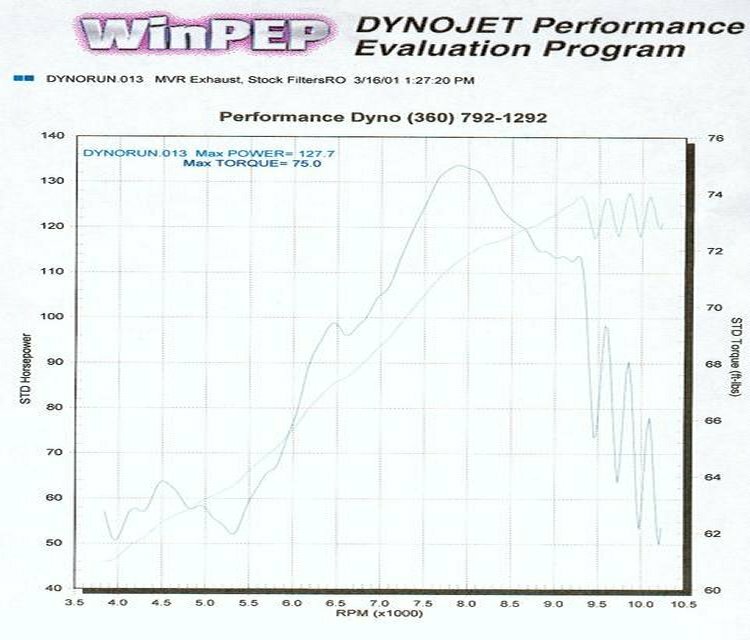 Having said that you cannot compare one dyno reading to another unless they were both ran on the same dyno under identical conditions, even a 5 degree change in the air temperature can drastically affect the dyno reading let alone changes in barometric pressure & overall altitude where higher altitudes will always yield less power than runs made at sea level, however the power curves will remain constant even if the amount of horsepower is lower. 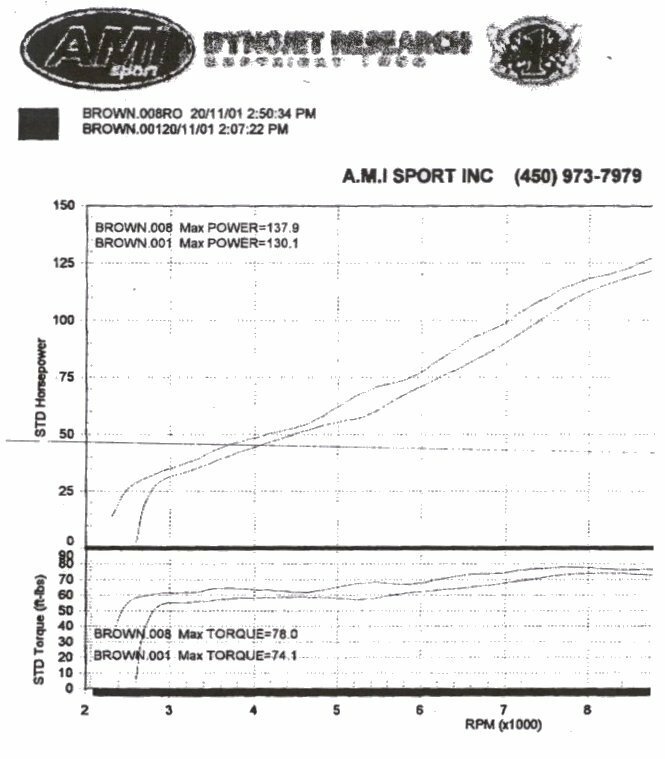 In reviewing these charts you will be able to get a pretty good idea of what to expect in the way of power curves. 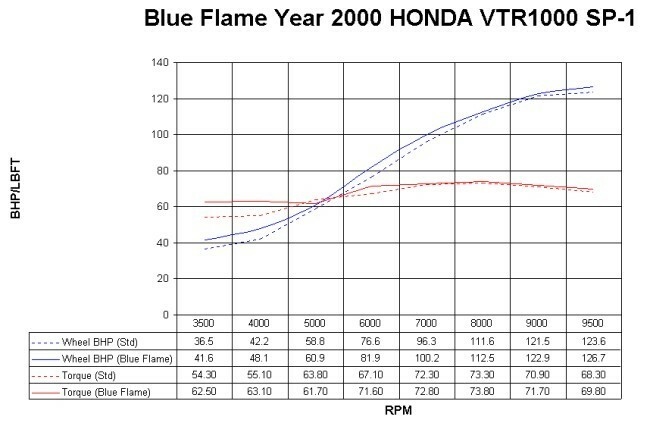 You will notice that some cans provide more hp lower in the rev range while others give a greater topend boost. 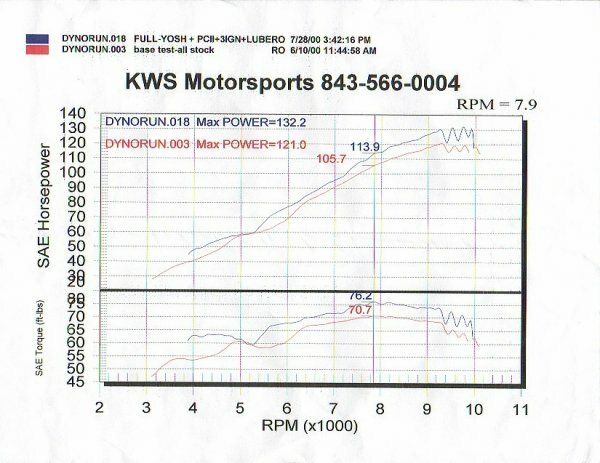 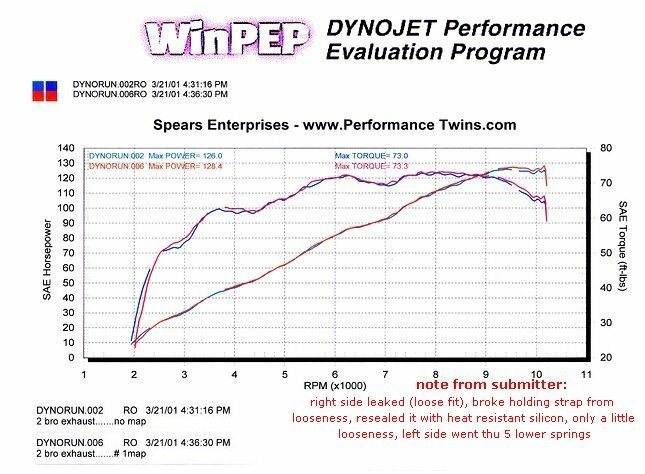 Another note is that all dyno runs are without the aid of ram-air. 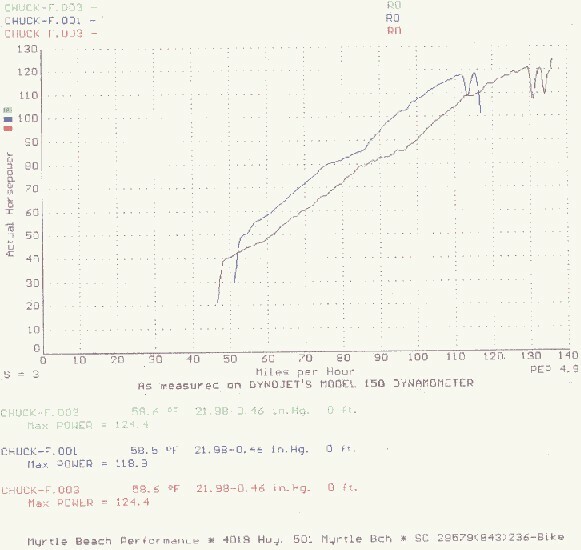 This is especially important when looking at the Air to Fuel ratio charts as the values will become slightly leaner at speed. 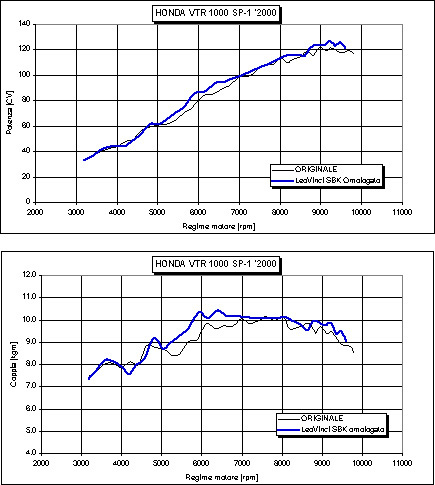 down the page as a copy directly below the original. 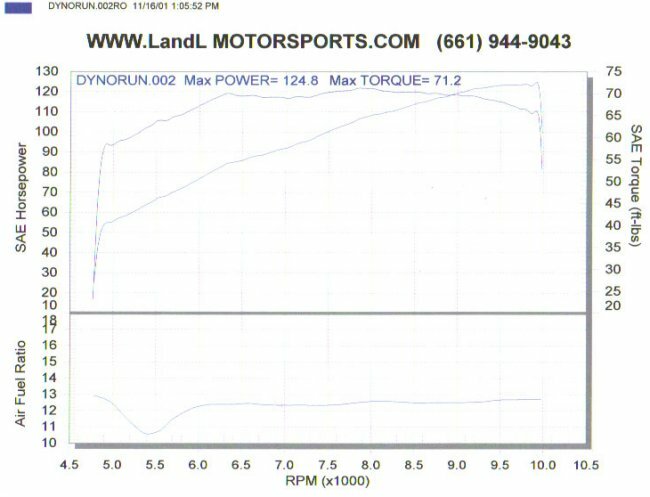 ported and polished, Yosh full titanium exhaust. 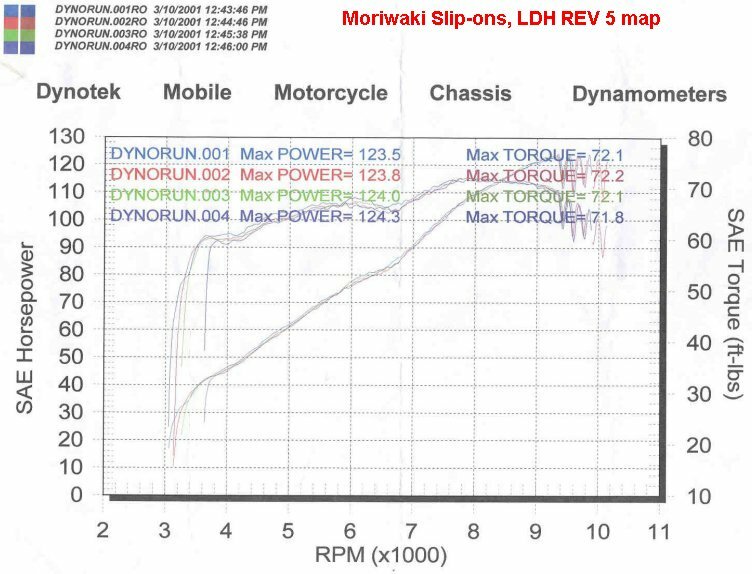 Yoshimura Slip-ons in the following 3 configs.